I love rediscovering the forgotten treasures of my music library when I unpack. So, settling in after my latest move, I’m organizing my music library once again and I rediscover the following. Yes, that is correct. 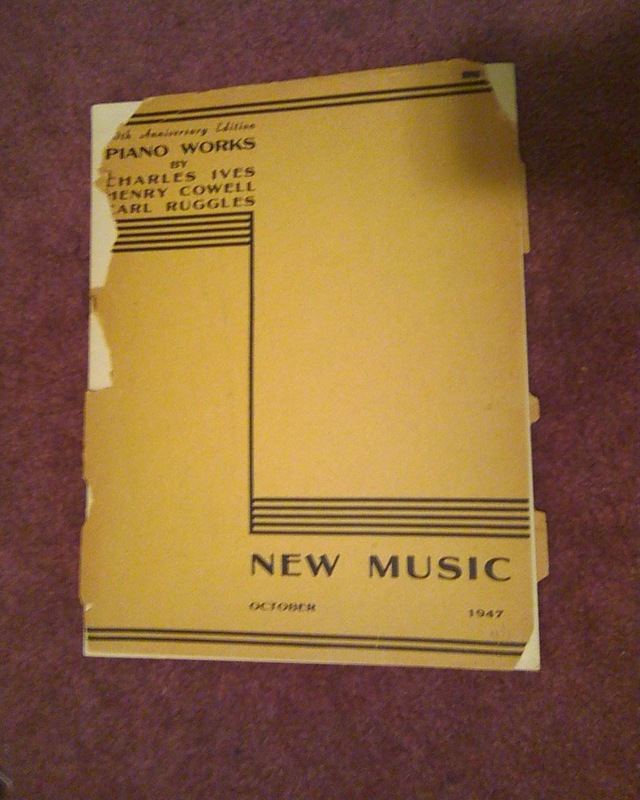 It’s a volume of Henry Cowell’s publication New Music, dedicated to the publication of works by „ultra modern“ composer of the time, including major works by Charles Ives, Carl Ruggles, John Cage, Ruth Crawford-Seeger, and sometimes Cowell himself.